Happy Monday. This is a much better week for me. More time to blog! So today's i'm coming back with another post in my Product Battle Series, where I match up two similar products and tell you which one ultimately wins my recommendation. 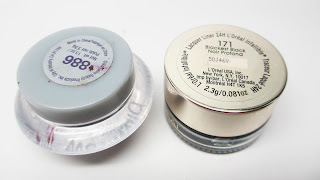 Today I'm comparing two popular drugstore gel liners. Check it out! Today I'm comparing Wet N Wild's MegaEyes Creme Eyeliner Black versus L'Oreal Infallible Gel Lacquer Liner Black. These days, gel liner is a popular drugstore item which can give you a very precise lined eye It's what I'd consider a makeup bag staple, and drugstore brands have created some very affordable options. Per www.Drugstore.com Wet N Wild retails for $3.99 while L'Oreal retails for $9.95 and it also includes a brush. 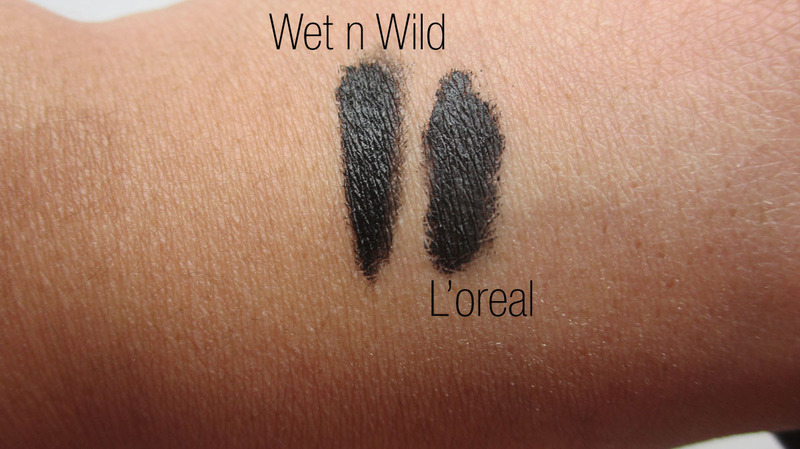 Wet N Wild only has the one black shade where L'Oreal has 5 different shade options. Swatched, they look pretty similar. They are both very black and dark. 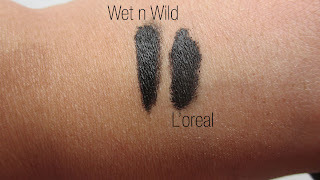 I find Wet N Wild's to be a bit thicker and a bit darker, where as L'Oreal is more creamy. However, both perform well. They're both available at your local drugstore our online. One thing I noticed is that I put a pot of the Wet N Wild in my kit. I happened to check on it a few months later. Despite it being hardly used it was completely dried out. I've heard that this is an issue for many. 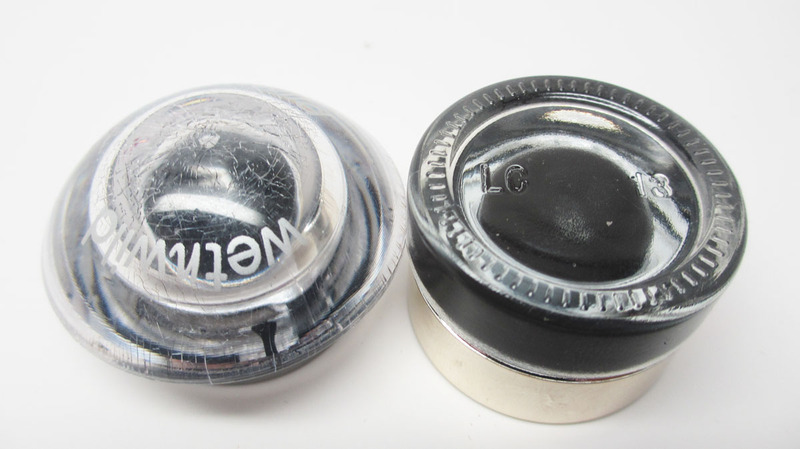 Ultimately, I think Wet N Wild is a better value if you're sure to use it very day to get your use out of it. However, L'Oreal does not dry out as quick so ultimately, you'll save your money by having a product that doesn't dry out in the end. Based on my observations, I recommend Wet N Wild for the budget conscious everyday user and L'Oreal for the weekend makeup applier like myself who wants bang for their buck. Have you guys tried out these products below? Let me know which you prefer in the comments below! Thanks for sharing these two products. Thanks for doing a review on this Ren Ren! After an 8 hour wear, which product do you feel sticks best on the waterline with no/minimal smearing? 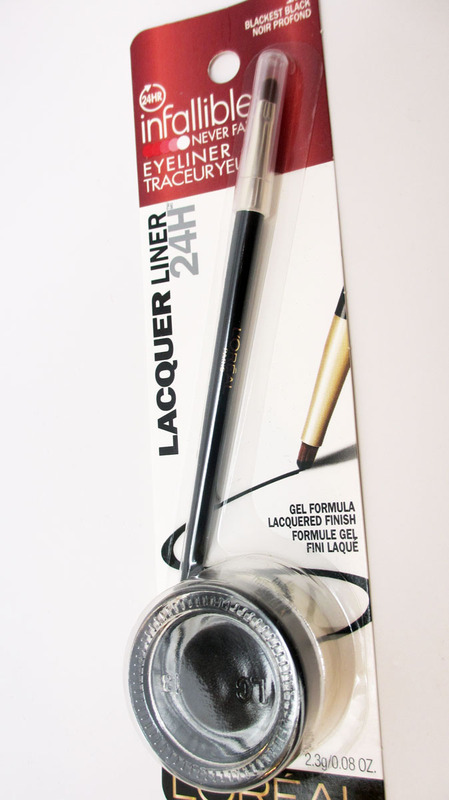 i prefer the maybelline gell liner because its price is pretty good and ive had mine for a couple of years now, its still creamy and in good condition.